Chandeliers in the lunchroom? A helicopter landing pad on the campus lawn? Those are some of the strange perks that come with thinking outside the box. 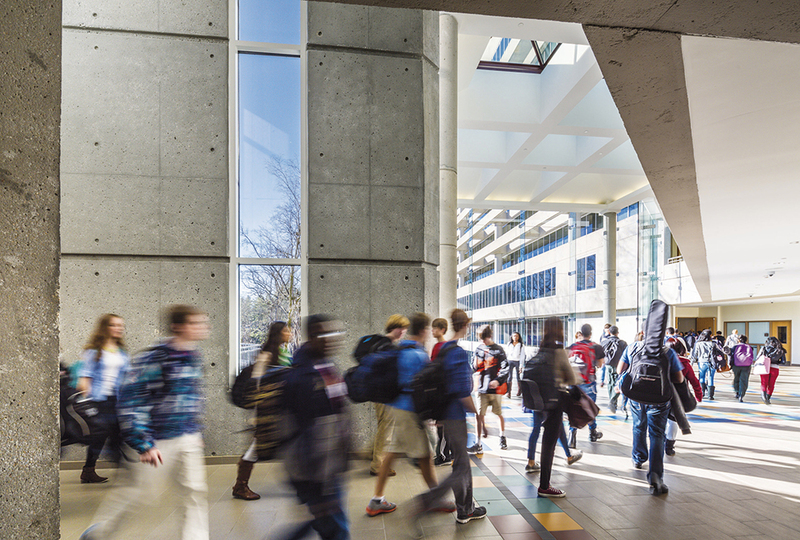 Around the country, colleges and school districts are dealing with growing enrollments and land shortages by turning abandoned office spaces into school buildings. Revamp. Repair. Renovate. Restorations breathe life into old or useless objects. Does that remind you of the Christian life? “If anyone is in Christ, he is a new creation. The old has passed away; behold, the new has come,” says 2 Corinthians 5:17. In Connecticut, a heliport (landing pad) is a reminder that a wooded, 69-acre property was once the global headquarters for General Electric. Today, the site is a satellite campus of Sacred Heart University. Computer science professor Bob McLoud likes the natural light that GE’s old floor-to-ceiling windows bring into classrooms. Leftover cubicles outside his office now accommodate graduate students. Across campus, a 28-bedroom guesthouse—complete with ballroom—supports the university’s new hospitality program. Renovations are still underway in two other buildings. But the university already has moved to this “West Campus,” just a short shuttle ride from its main campus. The property was a bargain compared to the cost of constructing a whole new campus. This fall, Ferdinand T. Day Elementary School opened in Alexandria, Virginia—in a vacant office tower that had held the National Diabetes Association headquarters. 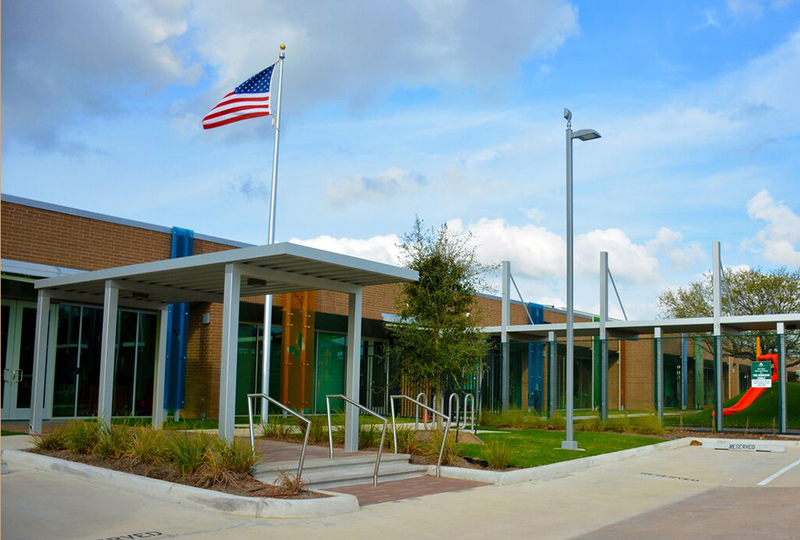 With large windows that let in abundant natural light, the building made an ideal school setting, says school district spokeswoman Helen Lloyd. The bottom four floors make up the school. The top two hold school offices. To solve a playground space need, the Alexandria school district bought a parking garage beside the building and refitted it. It includes a rooftop basketball court. 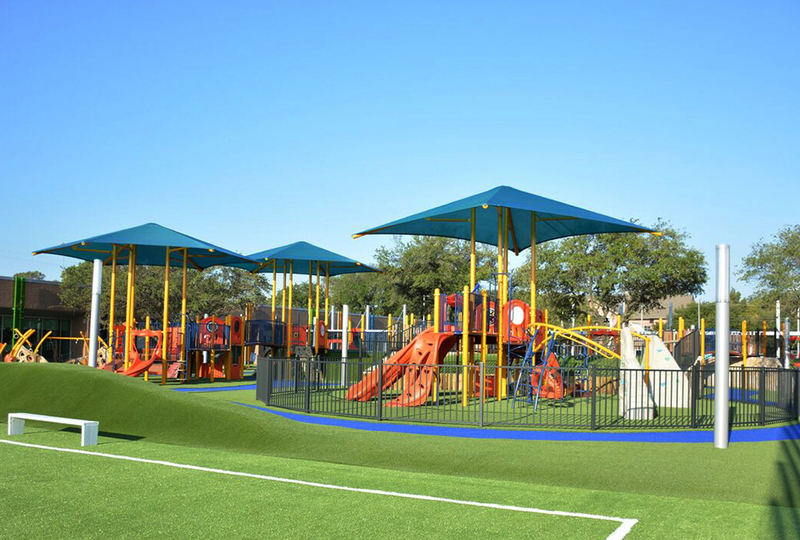 Children can cross a footbridge from the third floor of the school to access the play areas. The whole retrofit took much less time than building a new school. 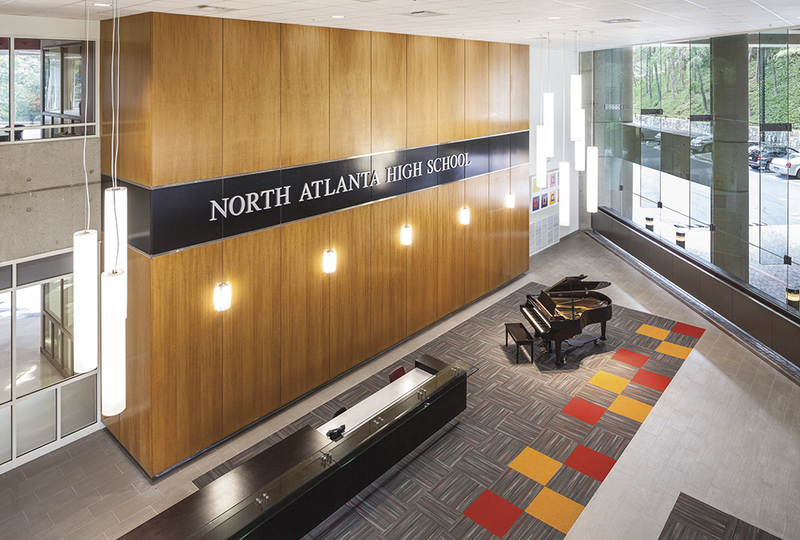 Farther south, North Atlanta High School in Georgia moved into an 11-story office tower that once housed IBM. Builders tore down a nine-story building on the property to build a gymnasium and auditorium. Other areas required school-specific makeovers. For example, contractors installed stairs to reduce crowds on the elevators. 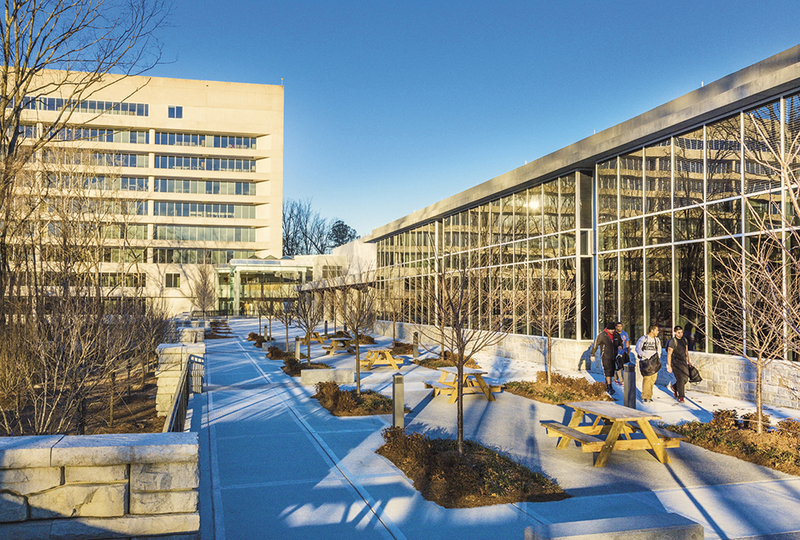 Floor-to-ceiling windows got an added layer of laminated glass to keep rowdy students from crashing through. That is neat! I am homeschooled, but if I went to school, that would be cool to go to a school that was once an office building. that is awesome. why am i not using capitalization? PEOPLE CRASHING THROUGH THE WINDOWS????????? The other ideas were smart though. Having a basketball court on the top of a parking garage is smart. Lena P and Cainan S. it said colleges and schools...so you might still be able to experience it unless your doing online college......anyways, I think that is a great way to re purpose unused land. And also a great way to use the tools God has blessed us with. that is insane and so incredibly cool im homeschooled but if i could go to high school and lived in conneticut i would want to go there.that is just so cool and the studente that go there are so lucky. Me too Anna, Leah, and Lena! Me too Anna, Leah, and Lena! I'm homeschooled, and I won't be able to go to a school like that, but I will be going to Grand Canyon University. GO HOMESCHOOLERS! And Cainan. Sorry, didn't read all the comments before I posted. The best thing about being homescooled is well most of it, like how (for me at least) you don't need hall passes, and stuff, also, if your having trouble with something and getting frustrated you can just get up and do something else than come back to it later. These buildings sound cool! I'm homeschooled too. :-) One of the things I like about being homeschooled is that I get to do fun stuff like typing and World Teen for some of my subjects. :-) Does anyone here go to public school? You play piano?that's nice how long have you ben playing? I play to, sometime I play at church. I'm homschoold to who els is home schooled? Here's my church's website www.shoaffparkbaptist.org I'm the girl in the wight dress on children's minestries. I just reread the comment I posted yesterday and it sounds a little erey. Sorry,that's not how I meant it to sound. To me, it looks more like an expensive college building. A Castle Turned Into a School Would be Awesome! I am also homeschooled, but if I went to a school like this I would want it to have been an abandoned castle. Imagine a school bus stopping in front of the gate if a castle, or looking out the windows of a stone tower in art class! Yay 25! Actually it's only yay cause I did it before that Older K guy who always does this. (Sarcastically) very funny ; | . :-) :-) :-) no I'm not made at you glad you don't think that comment is weard !!!! Wy dose older k ALWAYS get 25 comment??!!!??!!! !